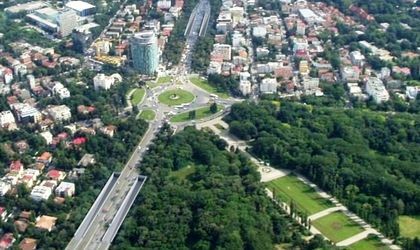 The northern part of Bucharest has been an attractive area for expats in 2015, with renting requests going up 7 percent for apartments and 5 percent for villas, according to premium real estate broker Nordis. Having many of the city’s bilingual kindergartens and schools and also green spaces nearby, the area is a popular residential destination for expats, who often come with their families (70 percent). Regarding the demand for individual homes for rent, Pipera is especially preferred by expat families, where the offer for new villas is also rich. Within a budget of EUR 2,000, expats can rent a villa with a garden and pool. The North Road neighborhoods – Herastrau, Primaverii, Dorobanti and Aviatorilor attract younger expats, the area being close to the most popular restaurants, cafes and clubs. “The highest demand and highest number of transactions were recorded for two and three bedroom apartments. The most desired area has remained the North Road – Herastrau due to its proximity to the park and a relatively short distance from both schools and shopping centres and the city centre,” says Emanuel Postoaca, general manager of Nordis. Two bedroom apartments were requested by 41 percent of people looking to rent in the north area, three bedroom apartments by 30 percent, one bedrooms by 23 percent, while studios reached a 2 percent share. 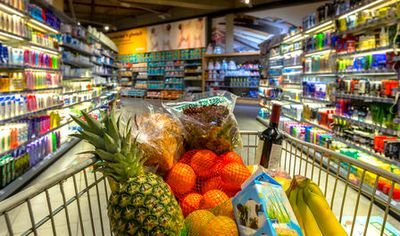 Almost half (48 percent) of the people allocate between EUR 1,000 and EUR 2,000, 34 percent of them look for prices under EUR 1,000, while only 18 percent look to rent for budget above EUR 2,000. Of the total of people looking to rent in the northern part of Bucharest 70 percent are expats and 30 percent Romanians, while the share of people actually renting property is 85 percent made up of expats and only 15 percent Romanians, numbers similar to 2013-2014. When looking to buy, preferences stay similar to renting requests, with two bedroom apartments being preferred by 49 percent of buyers, while studios were sought by 2 percent of people. The price range dominating the residential sales is between EUR 100,000 and EUR 250,000 (60 percent). Compared to last year, the proportion of foreign buyers has increased slightly to 20 percent, most of them being investors. However, buyers of apartments in Herastrau – Nordului are mostly Romanians using the luxury apartments for their own use. The percentage of those who buy apartments to rent them later in order to capitalize reached 35 percent of those who buy apartments in the area (last year it was about 20 percent), due to very low interests for banking deposits and a betterment in lending and the property market. The market is also witnessing a return of foreign investors, who acquire land for real estate development or want purchase already leased property as an investment. Nordis was founded in 2008 by Emanuel Postoaca and has three specialized branches: Nordis, real estate brokerage, Nordis Administrare, real estate administration and Nordis Investments, investment and real estate development. The company’s portfolio of sale or rental administers over 2,500 premium properties in northern Bucharest. Among companies that worked with Nordis there are Generali, De Silva, Porsche Bank, Lukoil, BCR, Lidl, BauMax Arabesque, Strabag, Alstom, Philips, Dent Estet, Alitalia, Apa Nova and the Embassies of Hungary, of Korea and of Cyprus.